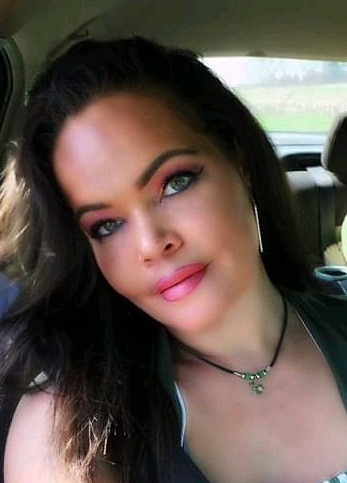 Aja Joele Hiatt passed away on Tuesday, March 19, 2019, in Kewanna, Indiana. She was 38 years old. Born on Nov. 2, 1980 in Logansport, Indiana, Aja was the daughter of Joseph (Christine) Hiatt and Valerie (Brian) Long Berkshire. She was preceded in death by William (Bubby) Fuller, Jr., her biological father. Aja is survived by two children, Jalen Adaway and Lyric Mallory, and one grandson, Draven Holt. Also surviving are two sisters, Linda Hiatt and fiancée Jennifer VanEtten, Logansport, half-brother William (Tracy) Fuller III, Springfield, Missouri, stepsister Megan Coldiron, Logansport, and stepbrothers; Patrick Berkshire and fiancée Kendra McPheeters, Hebron, Eric Berkshire (Kayci), Greenfield, Matthew (Upeksha) Berkshire, Indianapolis, and Dylan Berkshire and partner Meaghan York, Logansport. Also surviving is grandmother, Carrie Fuller, Peru, grandfather Walter Gilbert Long, Jr., Greenfield, and numerous aunts and uncles, and cousins. Aja was preceded in death by grandparents John and Barbara Hiatt and grandmother Sandra Sue (Fleming) Gioe, Park Ridge, Ill.
Aja loved fashion and design and had a unique sense of style and flair. She was a very creative person who enjoyed taking photographs, making beautiful gift baskets, and performing on stage with the Logansport Civic Players. She never met a cat, a monkey, or a baby that didn’t melt her heart. All babies, but most especially her own. She was beloved by her large, extended family and friends. She always wore a smile and will be greatly missed. Aja’s greatest love was for her children. Visitation will be at Kroeger Funeral Home Wednesday, March 27 from 10:00 a.m. to 1:00 p.m. with service following at 1:00 p.m. The service will be officiated by Aja’s uncle, Donald Fuller. Burial will be at Mount Hope Cemetery in Peru immediately following the service. Please use the 'Appeals for Donation' link included on this obituary.